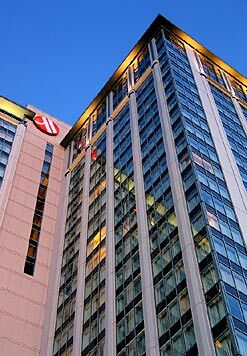 This new 32-story, 750-room convention hotel includes 48,000 sf of meeting space overlooking Baltimore’s Inner Harbor. 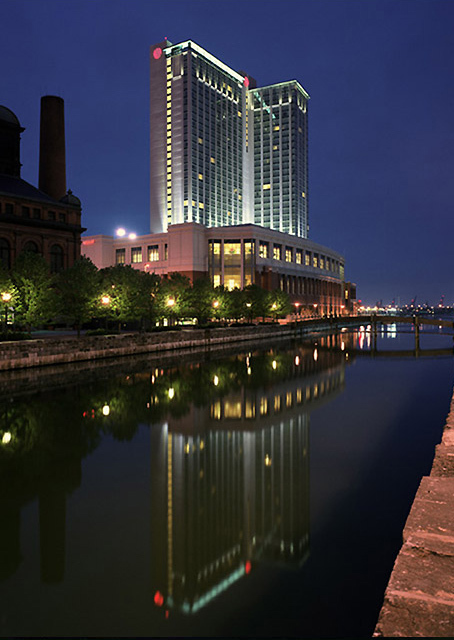 The guestroom tower was designed so that every room has a stunning water view. Among the many hotel amenities are two restaurants, a cigar lounge, and a health club/spa with an indoor pool that opens onto an outdoor terrace overlooking the harbor. Connected to the hotel via an overhead bridge is a 600-space parking garage with 43,000 sf of retail, office and restaurant space.